Featured Archives - R3 Consulting Group, Inc.
R3 was engaged by the City of Los Altos (City) to conduct a Performance and Billing Review of Mission Trail Waste Solutions (MTWS) as included under their Collections Service Agreement (Agreement) to provide solid waste, recycling, and organic collection services for the City. R3’s high level review of MTWS consisted of two main tasks: a performance review and a financial compliance assessment. The primary goal was to determine MTWS’ compliance with the applicable terms and conditions of the Agreement, review the effectiveness of current operations; and identify opportunities for program improvement. R3 worked with MTWS management and City staff to assess MTWS’ compliance with the reporting requirements and performance standards of the Agreement, as well as verify customer billing rate calculations and service levels, franchise fee calculations, and reported diversion percentages. Test of Franchise Fee Transactions to verify that the franchise fees are calculated correctly, and based on the correct level of recorded revenues. Our review found that MTWS is in compliance with the vast majority of the Agreement’s requirements. Collections are performed in a safe, courteous, and cleanly manner; coordination between the drivers, customer service, shop, and management is facilitated by an effective system of work orders; fleet maintenance operations and vehicles have consistently received satisfactory ratings from the California Highway Patrol; and MTWS is operating a sophisticated and professional customer service operation. We determined that the most significant area for improvement relative to the Agreement’s terms and conditions is in outreach and education, which is not being performed according to the Agreement’s requirements. Recommendations for revisions to the Agreement with regards to HHW collection services, rate requirements, and the billing schedule. Developing a Methodology for Addressing Commercial Migration, i.e. more recycling and composting results in a smaller garbage cart and lower price, but not less service or cost. Improved communications about the rate adjustment process. On behalf of the Sonoma County Waste Management Agency (SCWMA), R3 incorporated key recommendations and findings about organics material processing in the County of Sonoma (County) to compile a Request for Information (RFI) for future compost facilities that might be sited in the County. This RFI was used to aid the SCWMA in developing a strategic action plan to provide for organics capacity throughout the region, simultaneous with the procurement of solid waste services for several jurisdictions within the County. Following this RFI, R3 was engaged by SCWMA to assist in the procurement of an organics material processing facility in the county, as well as provide the SCWMA solid waste consulting assistance. Ensuring long-term sustainability and successful operations of organics processing facilities utilized by the SCWMA. 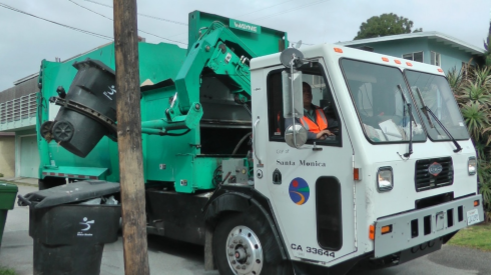 R3 is conducting “full service” procurement and solid waste consulting assistance for the City of Piedmont. The City of Piedmont is characterized by high performance in diversion, very high participation in on-premise “backyard” services, and a primarily residential subscription base. The rate structure is “flatter” than most other comparable jurisdictions, with smaller can sizes costing more on average, and larger can sizes costing less on average.